The United Nations Globally Harmonized System of Classification and Labeling of Chemicals (GHS) is a system for standardizing and harmonizing the classification and labelling of chemicals. It is an attempt to harmonize the different rules and regulations that have been developed in different countries over the years. The GHS itself isn’t a standard, but countries that are part of the system are expected to amend their own standards to include the concepts outlined in the GHS. For chemical countries in the US that export their products it is going to be very important that their labeling conform to the GHS guidelines. Our friends at Teklynx have introduced a new product to their lineup that is intended to make complying with GHS as simple as possible. Central GHS is build around existing Teklynx products that are well proven in the marketplace – CODESOFT, SENTINEL and LABEL ARCHIVE. The idea is to provide a solution specific to the unique demands of the chemical industry. 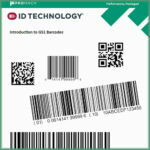 It’s nice to see a company like Teklynx coming up with such an integrated solution for a specific industry – rather than just trying to sell generic barcode software. Makes me wonder what else might be coming along!